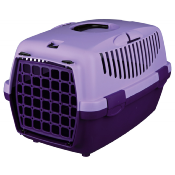 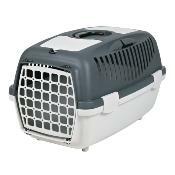 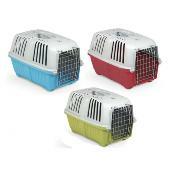 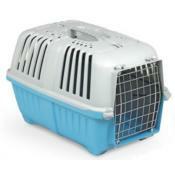 Made from strong, moulded plastic, the Pratiko 1 Pet Carrier is an ideal size for Cats, Kittens, Guinea Pigs and Rabbits. With moulded feet to provide a sturdy base and prevent tipping, this carrier is well-ventilated and allows good light flow. 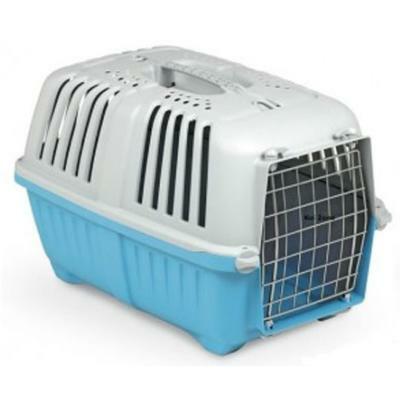 The carrier can be secured in a car by passing the seat belt through the handle moulded into the top, and buckling into place. Available in 3 Colours: Blue, Red or Green.